Parfait has always held an aura of luxury for me. 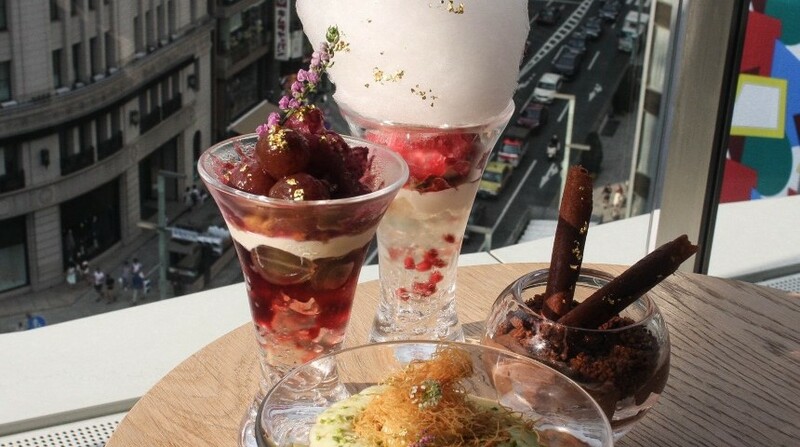 As a kid, I remember staring up at restaurant windows where these beautiful, multi-colored desserts would be proudly displayed like brand new trophies. I’d press my face against the glass, hot breath clouding my view, and try to make out each and every layer. I was fascinated by how the fruits and whipped cream appeared to constantly be on the verge of spilling over, while the layers of jelly never seemed to mix into the cream filling in between. What’s more, I loved the thrill of knowing that with a single swipe of my spoon I could easily destroy this carefully constructed chaos. And yet, growing up idolizing parfait, I rarely felt that it was the ‘right’ time to have one. Now I’m busier, it’s even harder to find the perfect time to sit down and have a nice dessert. BISTRO MARX, however, demands time and attention. 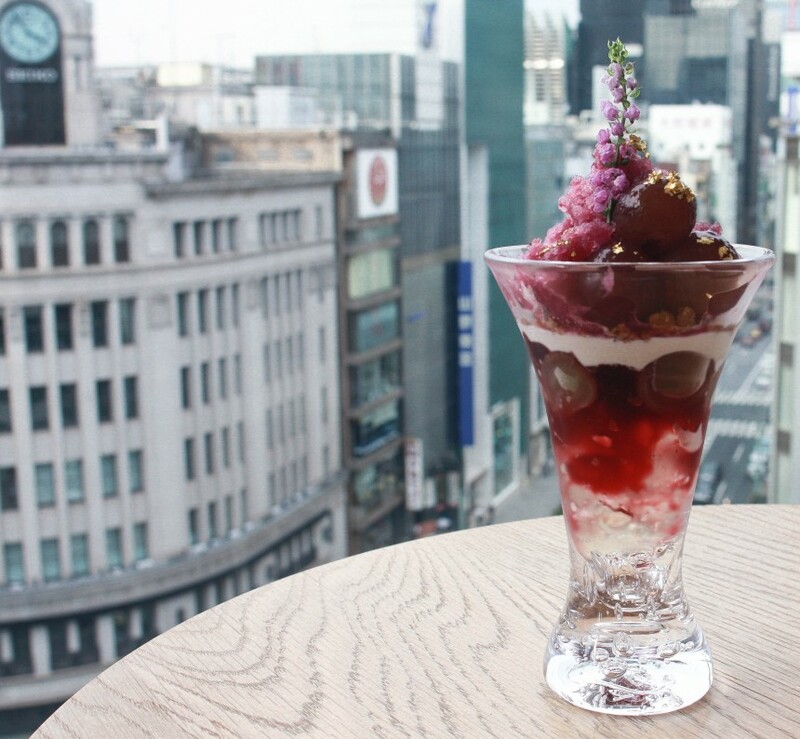 Perched on the top floor of Ginza Place, the bistro began their series “GINZA 4-Chome Parfait” in response to the lack of restaurants open at night in Ginza. Hoping to revitalize the bar time menu, chef Hideki Eto came up with a series of parfaits only available on the evening menu. 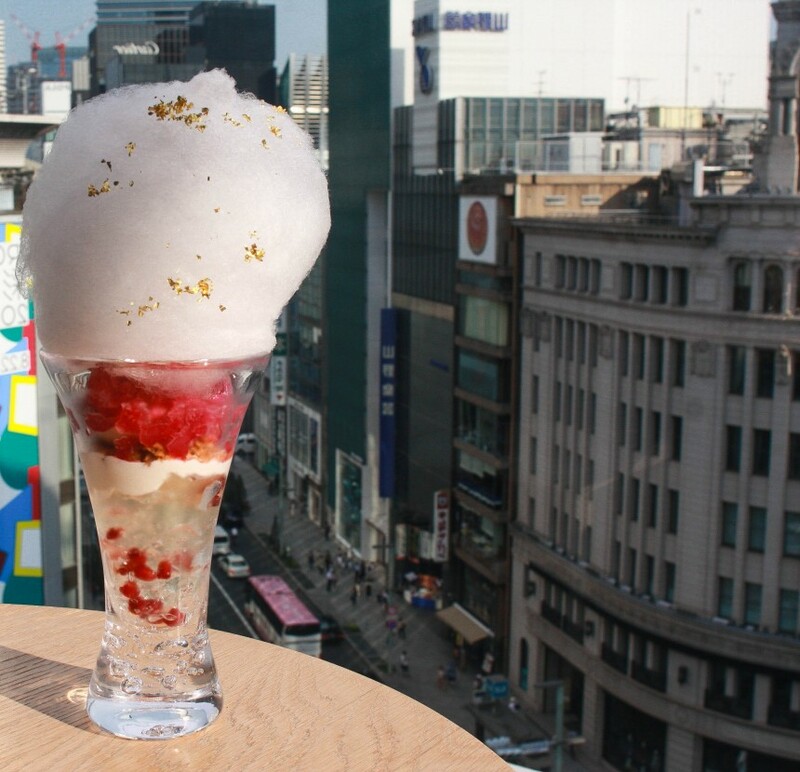 From 8:30pm onwards, customers can lounge on a balcony that overlooks the Ginza clock tower while enjoying a shime parfait (a closing parfait) that’s filling enough to be a meal itself. With a selection of five distinctive parfaits, diners can choose between classic chocolate mousse, seasonal summer fruits or adventurous concoctions like edamame pureé. 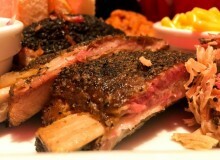 While some of the dishes share common ingredients (e.g. a blancmange base), each dish is made distinct through the use of a great variety of ingredients and culinary methods, both of which testify to Eto’s dedication and creativity. 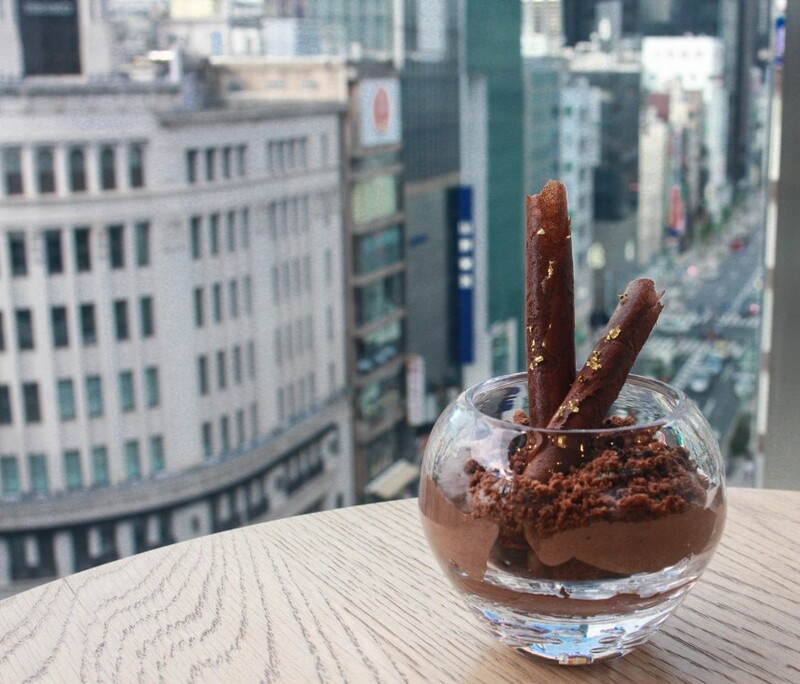 “You can never have enough chocolate in your life” — that seems to be the sentiment reflected in Eto’s first parfait. Within the fish-bowl glass sits layer upon layer of chocolatey goodness, but this overload isn’t the defining quality of the parfait; what truly distinguishes this piece from your average chocolate sundae is in the detail. Starting with a base layer of chocolate blancmange (a gelatinous cream similar to panna cotta), the walls of the bowl are spread with alternating layers of coffee ice cream and Ecuadorian chocolate mousse. A sugar overload is avoided through the means of the light creaminess of the blancmange and the jolt of caffeine from the coffee ice cream. The result is a velvety mix of subdued sweetness. It’s topped off with roasted and ground cacao, the aromatic niblets giving just the right amount of crunch factor. It’s a chocolate lover’s dream concoction, minus the post-parfait sugar hangover you’d get with other desserts. The parfait starts out with a bed of vanilla blancmange, building up to a gelatinous blend of pears marinated in champagne. 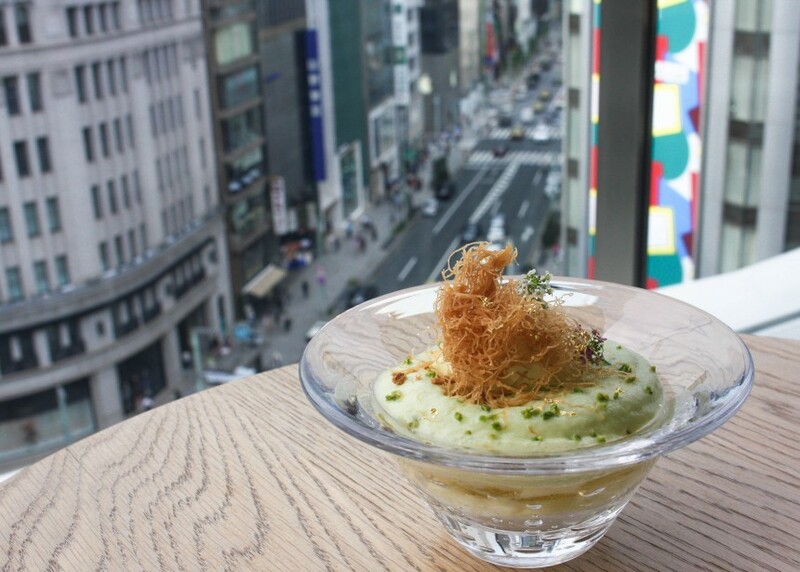 The crumbled jelly is then encapsulated with an edamame espuma (a culinary foam, titled after the method the Spanish invented to create it). While the taste of beans is inescapable, for those familiar with Japanese food, it is rather similar to zunda (paste made from young, premature beans, shelled and mashed into a paste that’s sweetened). Finished with fried short-grain pasta on the top, the parfait is a rollercoaster of flavors. This parfait, most recognizable by the massive cotton candy cloud looming over the whole piece, is a fresher offering than those listed so far. A complex piece featuring a total of five different layers, it really comes down to how deep you can shove your spoon into the whole parfait to get the full experience — that is, if you are prepared to make a complete mess out of the whole thing. The bottom layer consists of a fizzy white wine jello with scattered pomegranates. The second layer is a fromage bran cream mixture. Next comes a thin layer of walnut biscuit, with more fromage brann, in addition to pomegranate jello. On top, completely obscured by the cotton fluff, lurks a not-so-subtle punch of pomegranate ice cream. Let’s not forget the cotton candy either; it can be enjoyed in many ways, but after taking a few jabs at this parfait, most of the fluff gets stuck to the side of the vase and some scraping will have to be done to enjoy that sweetness. The white wine really ups the glamour factor and the pomegranates, which give you an irresistible popping sensation in your mouth, are a nice addition to really spice up the mix. A refreshing dessert to wrap up a sumptuous dish. This one is a must have for any die-hard grape fans, as this piece is a non-stop grapefest through each layer. 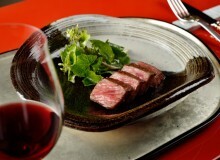 Kyoho (Japanese mountain grape) is well known for its size — a fact reflected well in the volume of the parfait. The bottom layer, which is made out of champagne Jello, is a sweeter tinge than the white wine jello from the Barbe à Papa. Rosehip is also mixed into this jello – the bright, blood red color contrasting perfectly with the dark maroon of the grapes on top. On top of the jello sit the grapes, a wholesome four pieces followed by a layer of mascarpone and rich whipped cream mixed together. Walnut crumble is sprinkled above, with yet another layer of wholesome grape goodness placed on top. And to top it all off, a grape granité (a french sorbet of sorts) made entirely out of the kyoho grapes ground in a mixer (meaty fruit flesh with skin included). Topping off this complex piece is a single shiso flower and assembled gold flakes. Overall, the refreshing grapes tie themselves incredibly well with the mascarpone, creating a very rich feel to the whole piece. It makes you rethink fruit desserts for the better, offering a balance both fruit lovers and sceptics can enjoy. Bistro Marx puts a lot of effort and thought into each parfait. Each subtle layer adds so much more to the finished product. A visit to Bistro Marx makes visitors reevaluate just how complex a parfait really is. As intimidating as the place may be, with its lavish interior and chandeliers, once you bite into any of these four parfaits, you enter an almost hypnotic state as numerous flavors explode in your mouth. Definitely a “see it to believe it” sort of destination. 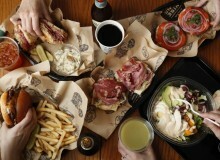 You have to come try for yourself to get the full experience.